Adnan Januzaj might be one of the best young footballers in the world, but the Manchester United man is becoming known for other reasons. 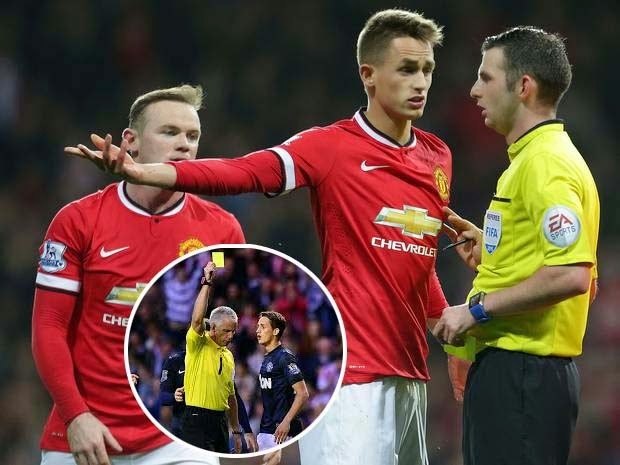 While we should be talking about Januzaj’s brilliant play and goals scored, he’s earned a reputation for diving – and has now picked up more yellow cards for cheating that goals scored. The Belgian international has scored four times for United’s first-team (although none this season) but has bagged five bookings for simulation. Yellow card number five came against Arsenal in the FA Cup clash when he tried to win a penalty with the Gunners leading the match 2-1.